Social selling is one of the more interesting buzzwords to emerge in the past decade. Basically, this term refers to the practice of using social media to interact with (and eventually convert) potential customers. While this concept sounds relatively straightforward, success in this regard is much easier said than done. This is because the nature of social media is not explicitly geared towards sales. Whether it’s B2B or B2C prospects, not many people log in to their social accounts to be bombarded with advertisements or promotions. In fact, doing so can turn people off like crazy. Generally speaking, B2B audiences go on social media for the purpose of gaining valuable insight. In other words, they are typically looking for top-of-the-funnel content. Fortunately, you can use this to your advantage. Studies have found that over half of B2B decision makers’ purchases were influenced by social media. The art of social selling is more than just posting ads on Facebook or connecting to decision-makers via LinkedIn. It’s about solidifying brand values and creating content that people can use to grow. To generate substantial ROI from your social media content, here are a few core aspects of social selling to keep in mind. No matter how great your content is, it’s completely useless if the right people don’t see it. 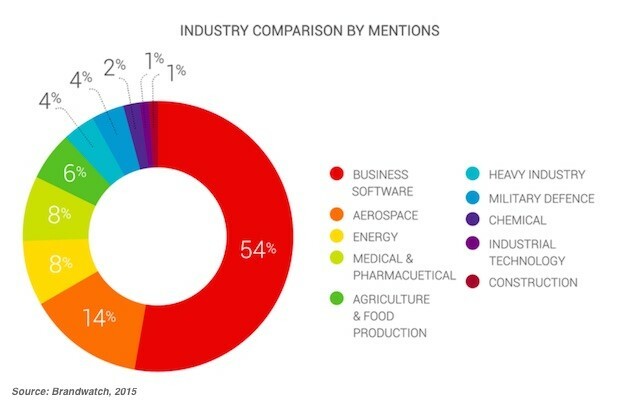 What industries are you targeting? What executive positions make purchasing decisions for your product? What social media sites are your target audiences most active on? What types of content catch their eye? Getting to know your audience before you start selling is the most important first step that eventually leads to greater ROI. 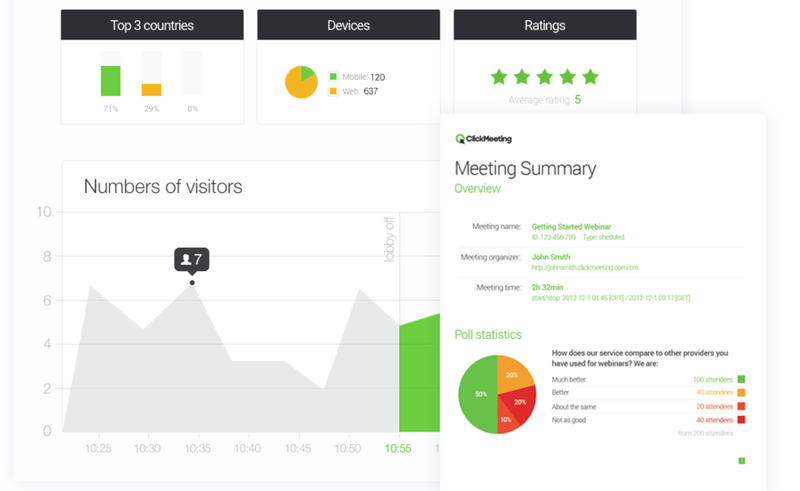 Using a sales-focused content analytics and audience intelligence system on your website makes it easy to capture visitor behavioral data, qualify leads, and maintain customer profiles. Leadfeeder, for instance, lets you know exactly who’s checking out your company’s content and how long they’re spending on each page. 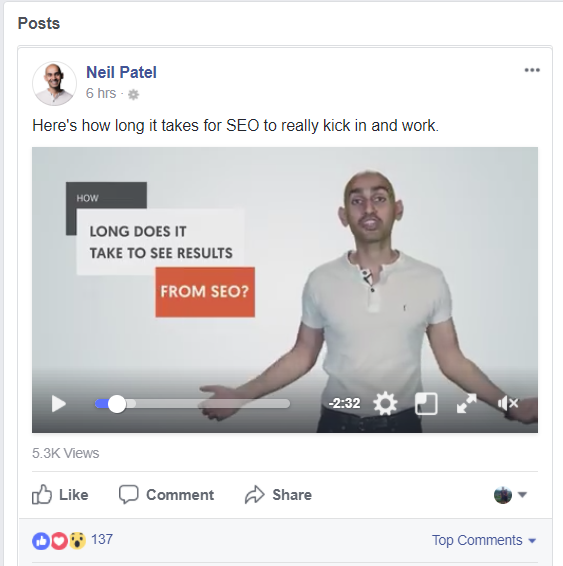 The tool pulls session data from Google Analytics and uses reverse DNS lookup technology to provide a deeper understanding of the people and companies that you might want to target with multi-channel content down the road. Leadfeeder also integrates with your CRM and email marketing systems to boost sales intelligence even further. Another great strategy to gain a deeper understanding of your audience is social media monitoring. If you haven’t already looked into it, this tactic is fantastic for getting an idea of the chatter taking place in your industry. With this knowledge, you are in a much better position to create content that plays to trending topics. 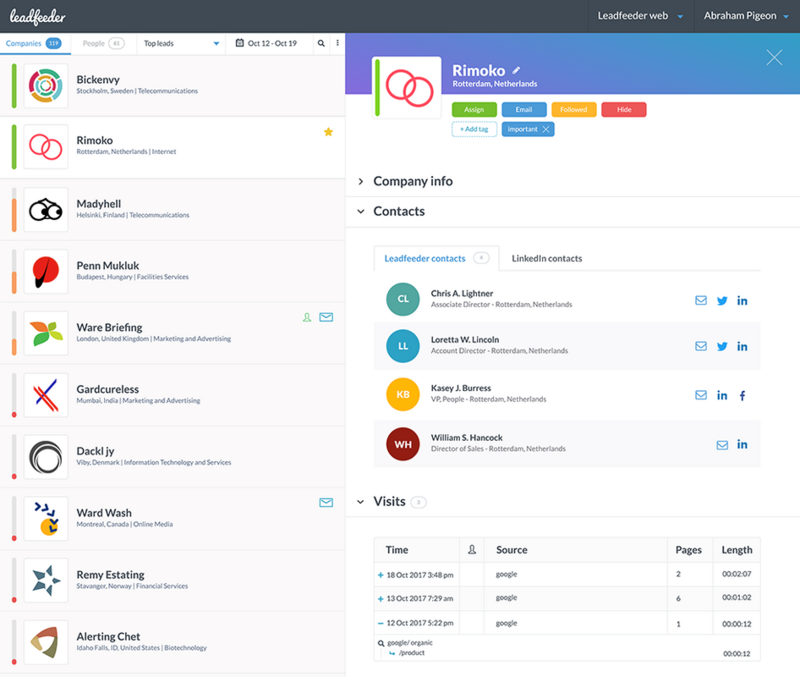 Using a tool like Brandwatch, you can easily track brand mentions, customer sentiment, and conversations trending in your industry so you have a precise understanding of what your audience is looking for, and where they are looking for it. These insights are crucial in determining how to approach your social sales strategy. The best salespeople know how to use industry buzz and customer profiles for more than just brand awareness and PR. By having a bunch of contextual data prior to pulling B2B audiences into a conversation, you are in a much better position to nurture leads without having to pitch cold. Keep in mind, when people go on social media, they are (quite likely) not looking to be explicitly sold to. Neither are they actively looking for products that enable them to solve problems. What they’re really receptive to is information that provides intrinsic or emotional value. By way of a data-driven social media marketing strategy, you can leverage this knowledge to guide people through your sales funnel in a non-intrusive way. Many B2B businesses these days are embracing this idea of “informing” customers by conducting webinars and live-streaming videos on social media. The goal is to educate followers while portraying an authentic glimpse into the brand, its philosophy, its workings and its offerings. In fact, CMI’s 2018 Content Marketing Benchmarks report found that 43% of B2B marketers surveyed made active use of webinar platforms and 72% of them used pre-produced videos in their content marketing. You can easily adopt this strategy with a video conferencing and webinar tools like ClickMeeting, which lets you create customized invitations and webinar rooms for targeted customer segments, present with slide decks, use real-time chat translations, and schedule follow-ups, with the option of streaming selected parts on social media later. Engagement metrics from these webinars can help you optimize your social strategy down the road. A major factor in social selling is simply providing value that people cannot get anywhere else. Once you can do this successfully, sales are inevitable. Social media marketing allows businesses more control over how their brand is perceived by others. Obviously, every firm wants to be known as the best or as a leader in their industry. By generating useful content, you can solidify your unique voice in a more honest and objective way. Most brands go the route of thought leadership positioning, and for good reason. 47% of executives cited this type of content as an influential factor for doing business with a company. On the other hand, the same study found that poor content can turn away nearly half of potential clients. Thought leadership should play a significant role in your brand’s voice. Consumers are much more willing to engage with a thought leader than a faceless brand trying to push sales. One study found that 92% of buyers would rather interact with a business perceived as an industry leader as opposed to a sales representative. As a result, people can put an expert face to each of his business websites, creating a level of trust that sells itself. Building a brand takes time, so don’t get discouraged if you don’t see immediate results. There’s no right or wrong time to get started. Find a method that is true to you and the brand personality you want to convey, then try and identify the right channels that fit with your plans. Stay authentic, be persistent and relentless in your efforts. Before you know it, you will see a following. Social media is a powerhouse in the today’s marketing mix, and it does look like it’s here to stay. Using major social platforms for sales requires good planning. Traditional “in your face” sales methods don’t cut it; the key is to focus on providing meaningful, contextual, actionable content that oozes with authentic branding. Good luck!